If you have been reading this blog for any time at all, you will find that I frequently discuss the consistency of products. Products that are crunchy or have that perfect chew to them just do something for me. There is just something so satisfying about a perfectly crunchy taco or the slight chew of a piece of bread. When I discover a new product that meets these consistency criteria, it is almost guaranteed to make my food to eat list. 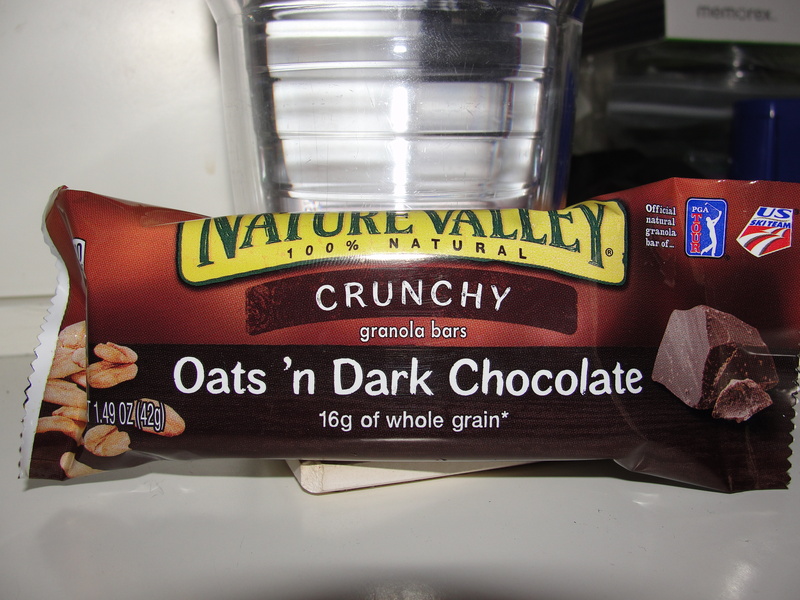 So is the case in the Nature’s Valley Oats & Dark Chocolate Crunchy Granola Bars. My oh my…the crunch is just…my oh my. I have always been a fan of the Nature’s Valley Crunchy Granola Bars. There was a time when I was hooked to the Oats & Honey bars and ate them nearly every day. Now, I find that I only buy them when they are on sale and don’t have to have them all the time – but I still love them. So was the case when I came across this box of Oats & Dark Chocolate. Proudly sporting a ‘New’ title, the box was on sale for $2.50. I put the box into my cart and began to think about when I would try this new treat. When the time came to try the Oats & Dark Chocolate Bar, I was elated with joy. 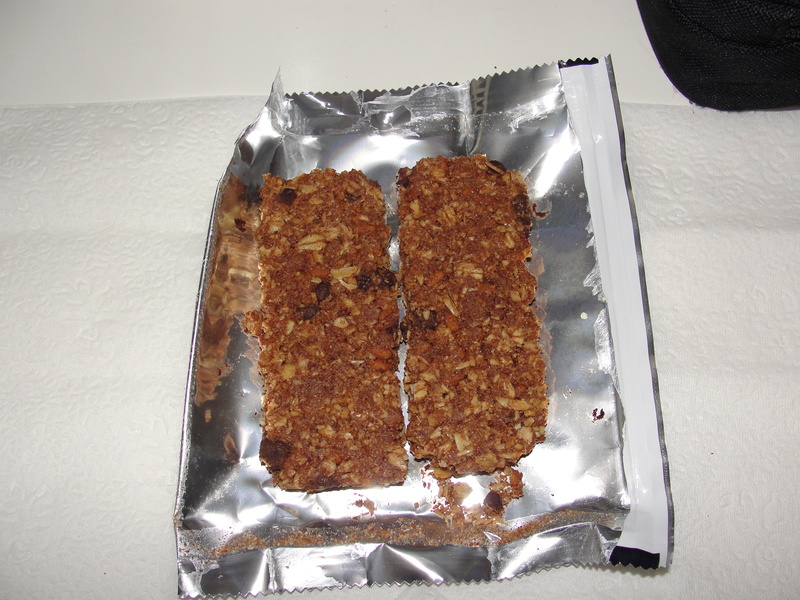 I carefully opened up my granola bar and reviewed it. The color of the granola was cocoa and I could see pieces of chocolate within the bar. I broke off my first piece and slowly placed it in my mouth. 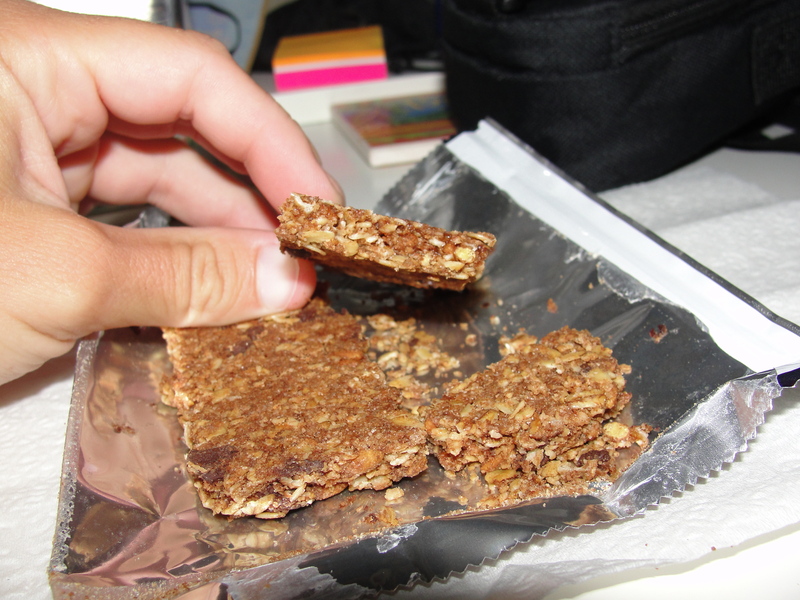 As I began to chew through this crunchy masterpiece, I fell in love with yet another variety of Nature’s Valley Bars. Move over Oats & Honey, Oats & Dark Chocolate is coming in. As I continued to eat the bar, I came across some of the dark chocolate pieces. There were not a ton of them but, this was not a bad thing. The granola itself had the cocoa flavor so the dark chocolate pieces were just extra little treats. The pieces weren’t overly bitter not overly creamy but that was okay with me. The flavor was good and as I said, they were just extras. One of my bars seemed to have a pretty good amount of them and the other didn’t have as many. I was so not expecting for the granola bar itself to have the rich cocoa flavor that it had. This really made the bar something special. The cocoa flavor was simple, pure and not fake tasting. In no way did I feel as if I was eating sugared up cocoa powder. Rather, I was able to taste & enjoy the simple cocoa that made the granola something real special. I finished this Oats & Dark Chocolate bar pretty fast and was left wanting more. I easily could have had another bar but I was able to restrain myself. Every single bite of this bar was perfect. The crunchiness combined with the cocoa flavor and dark chocolate pieces, makes this bar a sure do winner. Every time I go into the pantry, I see these bars anxiously waiting for me. After the fabulous experience I had the first time, I will most certainly being going back for more. My oh My – Nature’s Valley Oats & Dark Chocolate Bars are winners. I haven’t had a chance to try this variety yet..but I loooove Nature’s Valley..your review might just prompt me to get some during my next shopping trip.